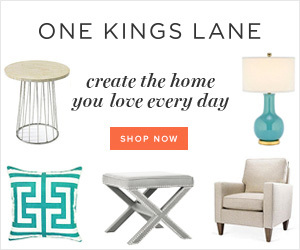 LDB is all about being inspired and as I've mentioned before I draw my inspiration from many different things. The last week has been hectic but I did have time to stop into Walkers World yesterday to swoon over some of their new arrivals and I spotted a fabulous glass based lamp which served as inspiration for this post. The lamp reminded me of many "sea glass" lamps I've been seeing used in coastal inspired spaces and sent me on the hunt for more sea glass inspired decor ideas. 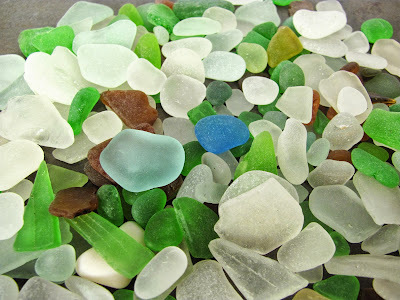 When I think of sea glass I picture the "Barbados variety" which is made up of greens, blues and "Banks" brown which is a product of local beer bottles. I envision pieces of glass which have broken and over time been worn down by the ocean and elements to produce a polished piece of art. 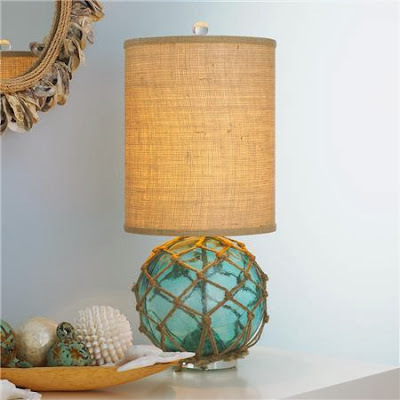 It's no secret that I have a love for anything coastal inspired and the new modern interpretations of sea glass vases and lamps are right up my alley. 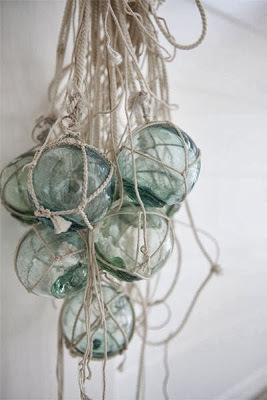 I'm also currently crushing over sea glass globes and can think of a number of decorative uses for them. 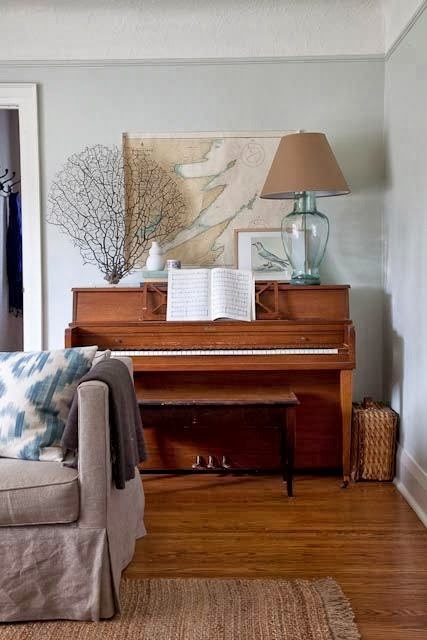 Something about them is so authentic and rustic and the colour is reminiscent of the sea. Because sea glass globes are not limited in size or colour they are not only unique but versatile. 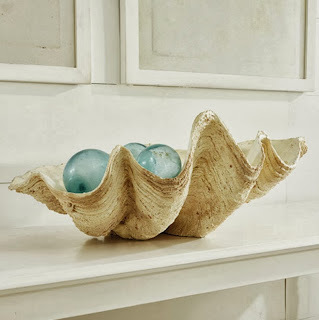 These small globes are the perfect size to fill this oversized clam shell. See more decorating ideas using sea globes and other coastal inspired spaces by following LDB on Pinterest and don't forget to share the love and like us on Facebook.